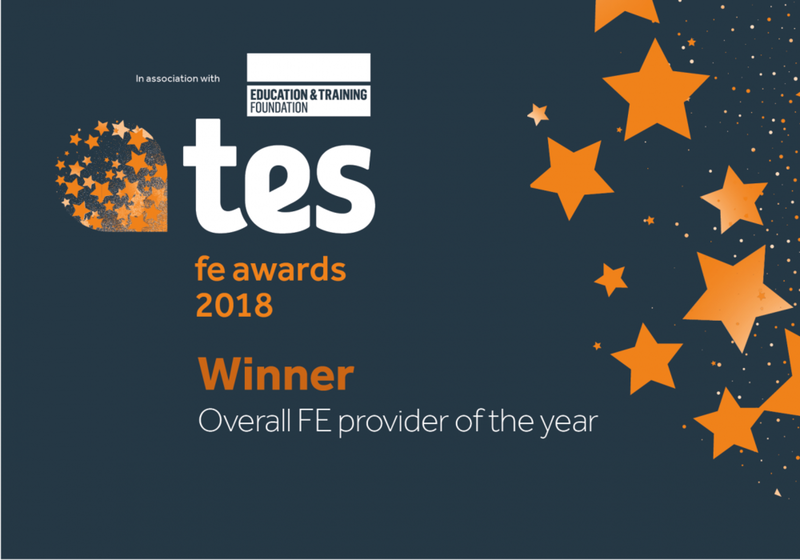 The Aurora Group Foxes Academy Recognised as Overall FE Provider and Specialist Provider 2018 at TES FE Awards! Foxes Academy Recognised as Overall FE Provider and Specialist Provider 2018 at TES FE Awards! This was the first time that the winners of the five institutional categories – FE college, training provider, sixth-form college, as well as the inaugural specialist provider and adult and community learning provider awards – have gone head-to-head for the right to be named overall provider of the year. And the judging panel was unanimous in its decision that it was Foxes Academy – the first specialist provider of the year – which should also claim the flagship title. As a specialist provider and training hotel that aims to give young adults with learning disabilities the skills, knowledge and confidence to shape their own futures our mission is to change the way society perceives people with learning disabilities. Striving for excellence, our staff continually reflect, review and make changes to meet a variety of needs – a process that starts with the learner in regular one-to-one tutorials. The employment rate for our learners has consistently been over 85 per cent, year after year, with a sustained employment rate of 77 per cent since 2015 – figures that many general FE colleges, let alone specialist providers, would be envious of. In contrast the proportion of people in England who have learning disabilities and are in paid employment fell from 7.1 per cent in 2012 to just 6 per cent in 2015.